SFI-30.1 certified as flywheel shields, Ultra-Bells feature patented T6 aluminum castings that endure twisting & tire shake. They bolt to front pump and fit under stock floors. Models mating Ford or Chrysler V8 to Powerglide eliminate adapter plates (starter mounts to Ultra-Bell). 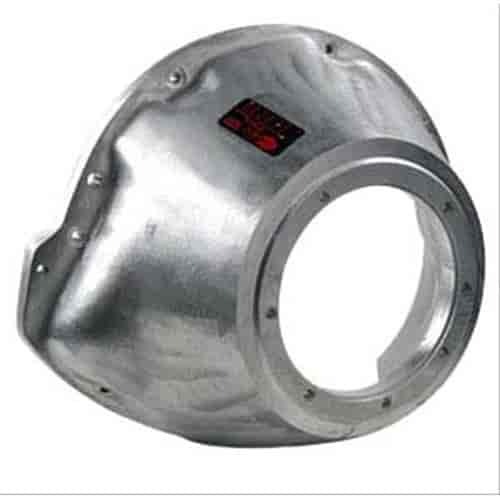 Note: Ultrabell does require removal of OEM bellhousing which is a simple task that can be performed with ordinary hand tools.